What Is Craft Beer Week? A Craft Beer Week or Beer Festival is a casual event, broken up over different locations and times throughout the week; it’s like club hopping but with a sophisticated twist – CRAFT BEER! These awesome events promote local beer (and often local food too), and participants who attend enjoy unique experiences, new flavours, and much more! You can think of Craft Beer Week as…an informal ‘to do’ list of local breweries and beer; and while Craft Beer Week only lasts for one week per city…with this list, you could pretty much spend your entire spring checking out Craft Beer Week! Organized by Ontario Craft Brewers®, Ontario Craft Beer Week is a province-wide festival that celebrates the independent, locally-based craft beer industry in Ontario and exposes consumers to the premium quality and culture of Ontario craft beer. Having a hard time waiting for craft beer week? Check out #DrinkLocal Ottawa – an interactive guide to local breweries and beer! To view more upcoming beer events in Ontario, click here. Toronto Beer Week (TBW) is a collective series of events dedicated to the celebration and advancement of the craft beer movement. TBW showcases authentically brewed and flavourful beer, the talented brewers who create them, and the licensees who proudly support them. If you want great beer and excellent places to drink it, TBW is for you. To view more upcoming beer events in Toronto, click here. In the spring of 2010, just after Vancouver completed the most successful Winter Olympic Games in history, a few craft beer enthusiasts gathered around a table and conspired over a few pints to arrive at a timely idea: to create Canada’s first week-long festival to showcase ‘real beer’ – and so, the first Vancouver Craft Beer Week was born. Fast forward 9 years (and add 70+ new craft breweries in BC) and VCBW has become the largest craft beer only celebration in Canada (15,000+ attendees) and has earned a reputation as Western Canada’s premier event for craft beer, cider, food, and music. Don’t miss out on Vancouver’s stellar craft beer the other 358 days of the year; #DrinkLocal Vancouver is your interactive resource for local breweries and beer. To view more upcoming beer events in Vancouver, click here. 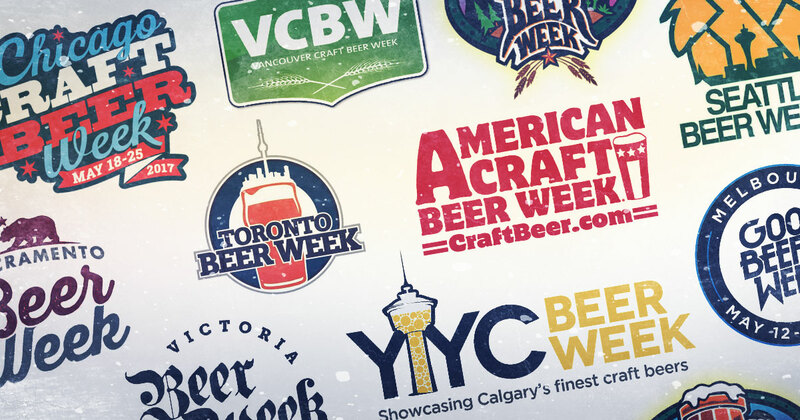 Bursting out of the wood work just like Alberta’s bustling craft beer industry, #yycbeerweek is here to showcase the best of Alberta brewing and food. 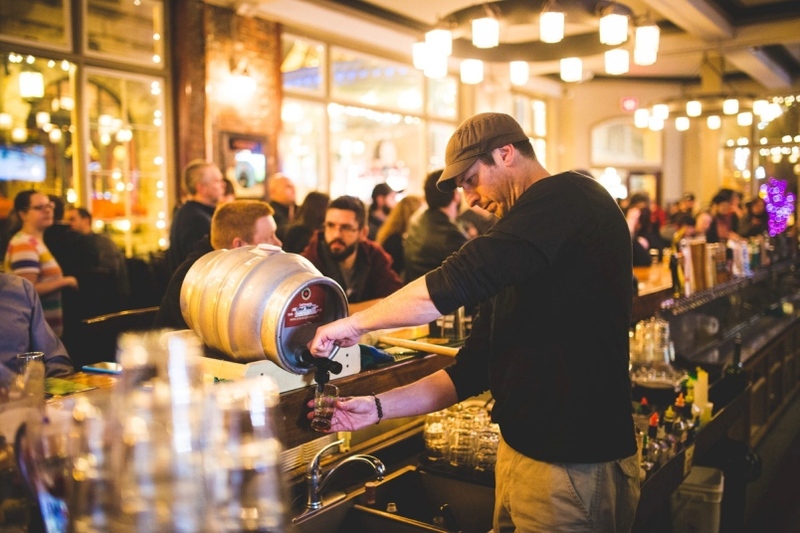 A place where local brewers, chefs and Calgarian’s alike can revel in the artisanal mastery of a world-class industry that lies on our very doorstep. Throughout the week your favourite local restaurants will be serving-up amazing eats, exclusively paired with locally brewed craft beer. Don’t wait for #yycbeerweek to get your fill of Alberta’s Craft brews; check out #DrinkLocal Calgary, an interactive guide to #yyc’s craft beer. To view more upcoming beer events in Calgary, click here. Missed this year’s event? No biggie — Victoria’s craft beer flows free all year around! Check out #DrinkLocal Victoria for craft beer recommendations. To view more upcoming beer events in Vancouver Island & Victoria, click here. Bringing you the 11th Annual Seattle Beer Week May 9th – 19th, 2019. Can’t make it to Seattle’s Craft Beer Week? No problem, check out #DrinkLocal Seattle any time of year and get your fill of great locally-brewed beers. To view more upcoming beer events in Seattle, click here. Kick off Chicago Craft Beer Week with the 8th annual “Beer Under Glass” event! Brought to you by the Garfield Park Conservatory Alliance (GPCA) in partnership with the Illinois Craft Brewers Guild. Then enjoy an endless and abounding list of events for the rest of the week. Can’t make it to Chicago’s Beer Week? We’ve got you covered: #DrinkLocal Chicago has a great list of Chicago breweries, and craft beer recommendations. To view more upcoming beer events in Chicago, click here. An 11-day celebration of beer in the world’s greatest beer city. Checking out Portland outside of #pdxbeerweek? No prob — check out Drink Local Portland a place to find Portland’s greatest breweries and craft beers. To view more upcoming beer events in Portland, click here. For the 12th year in a row, the Brewers Association invites you to celebrate American Craft Beer Week®, the nationwide celebration of U.S. small and independent craft brewers. The weeklong tribute provides an opportunity for craft brewers to share their diversity, creativity and passion for the beverage they love. 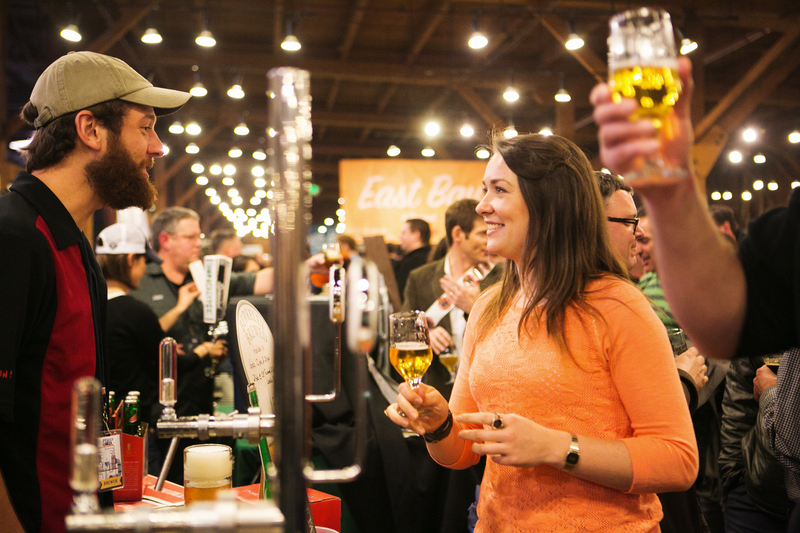 From May 15 – 21, all 50 states will be holding events including exclusive brewery tours, special beer releases, beer and food pairings, tap takeovers and more to celebrate everything you love about America’s ever-advancing beer culture. To view more upcoming beer events near me, click here. In just seven years, it has grown from the spark of an idea to a global festival made up of more than 300 diverse and innovative events across Melbourne and Victoria that attracts seventy five thousand attendees from across Australia and overseas. Like bears, Albertans like to go into hibernation during the long winter months. But how can we get beer if we are in hibernation?! Thanks to our friends at Drizly.com that will no longer a problem.